There are many ways to tour and explore Uganda, and its capital, Kampala. You can do a bicycle safari, take a vehicle ride or you do a walk tour. Exploring Kampala on foot is one of the best ways to enjoy the city. Kampala is one of the most exciting cities in Africa, with so many sights and sounds that you could easily miss in a car ride, but on a walking tour you take in everything one at a time. unlike it being city just it is also a district of its own, located in central Uganda in the Buganda Kingdom. Its total population as per 2011 was 1,659,600 people. The weather in the city is warm throughout the year hence favorable for everyone, this is because of its closeness to the Equator. Also note that it has two rainy seasons as on stars from March to May and the other from August to December. 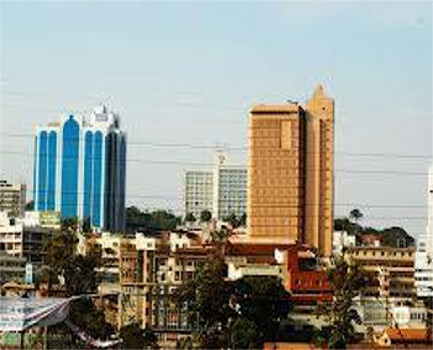 Kampala city was originally built on seven hills but has now widened and spread to over twenty two hills. It is a good place to explore with so much to see and experience and the best way to do this is on foot. It is a busy city, this makes it to be regarded to as a “a city that never sleeps”. It has lots of people, therefore venturing it and doing various activities alone could be quite scary hence there is need for a guide who can be in line to lead you through the chaos of the city center and the maze that characterizes Kampala. Because of that, the guide should be knowledgeable enough in order for you to enjoy a walk tour in Kampala. That is why Insight Safari Holidays is in line to give you all you need for your Kampala tour. Our guide ensures that you have a very good and memorable experience. They will make sure you see the real and authentic Kampala and have an amazing walk tour on your Uganda safari. A walk tour in and around Kampala is an intimate and interactive safari activity. It is also very exciting and educational. You will get see different aspects of Kampala, how history blends with today life, and the cultural diversity across the city, the people, how business is done and how people live and work and so much more. You might even learn some basic Luganda that could help you buy a thing or two from the market. Some of the things you will see on a walking tour around Kampala city include the old taxi park, Owino market, local crafts, vegetable and food markets, the Kabaka’s palace, the Idi Amin torture chambers, the Kasubi tombs, the Kabaka’s lake(It is a man-made lake by the Kabaka himself), the Hindu temple, Bahai temple, the Gadaffi mosque, Uganda Martyrs shine, the Catholic and Anglican churches on different hills, the independence monument and so many other landmarks.